Dr. Kahen is a world-renowned hair restoration surgeon. He is one of the first hair transplant surgeons to apply the science of Platelet Rich Plasma in hair restoration. He has performed thousands of hair transplant surgeries with Award Winning results. Dr. Kahen's reputation is trusted by fellow celebrity plastic surgeons and he is a recipient of the "Aesthetic Award" for two consecutive years. Dr. Kahen’s expertise in hair restoration has made him one of the most sought out hair restoration surgeons. His client list includes executives, physicians, dignitaries, celebrities and fortune 500 CEOs. Beverly Hills Hair Restoration has access to the most advanced hair restoration technology; one being SmartPRP®, which was invented by Dr. Kahen! The goal was to achieve impeccable results by injecting patent pending PRP formula. Dr. Kahen has been featured in Robb Report Best of the Best, Newsweek Top Doctors, ESPN, CNN, CNBC, Marketwatch, BBC, USA Today, New York Times, Los Angeles Times, UK Daily Mail, and Beverly Hills Times Magazine. 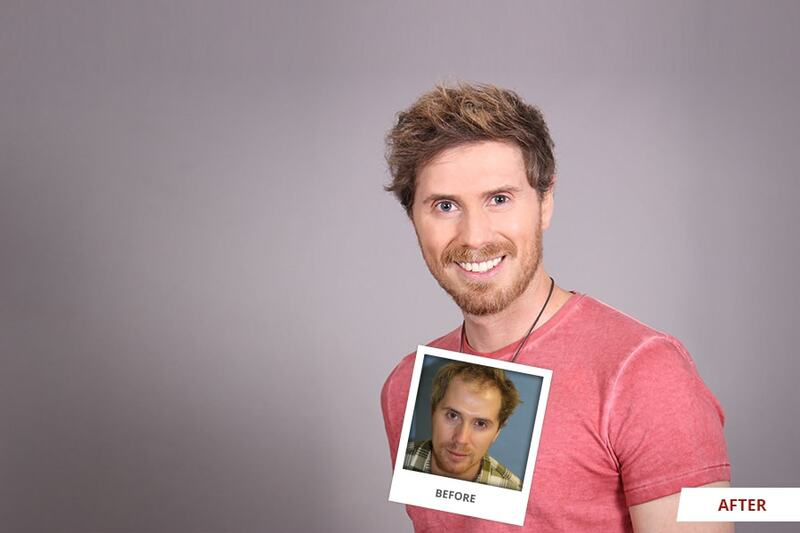 At Beverly Hills Hair Restoration we are the only hair transplant clinic delivering Smart Restoration. Smart Restoration is the infusion of Dr. Kahen's Smart PRP® with every transplant. This creates the perfect environment for the newly implanted hair follicles to flourish and allow the patient's native hair to become the healthiest its ever been. Smart Restoration is the latest and greatest technology in hair restoration delivering results not seen elsewhere. If it's not Smart Restoration, it's not delivering Smart Results. As a leading expert and pioneer of Platelet Rich Plasma hair restoration, Dr. Kahen has implemented the most advanced solution to prevent hair loss. SmartPRP® is Dr. Kahen’s patent pending Platelet Rich Plasma technology. SmartPRP® contains over seven billion platelets and growth factors unmatched by any other PRP technology. These biological factors are responsible for hair rejuvenation and wound healing process. A dosage of SmartPRP® is designed to strengthen and nourish implanted and non-implanted hair follicles, while providing impressive results. Patients will experience greater follicle density and hair color pigmentation. SmartPRP® is used with and without a hair transplant procedure to give impeccable results. 50 N. La Cienega Blvd. You are born with a limited number of hair follicles. Join our discrete mailing list and learn how to keep them. Your appointment request has been sent successfully. Your appointment request not sent.